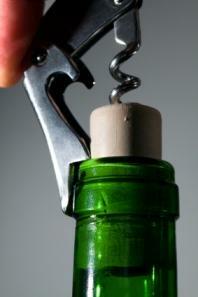 Learn some beginner basics about wine. Oak Leaf wine is owned by The Wine Group and is quickly becoming a fast favorite for an everyday inexpensive wine. Currently, you will not find Oak Leaf wine on any other store shelves except in Wal-Mart stores. The Wine Group has an exclusive contract with the retail giant. Wal-mart touts the wine as its own "private label" and there is no word of if, or when, Oak Leaf will be offered at other retail stores around the world. Cabernet Sauvignon - This medium-bodied Cab is full of forward fruit with a hint of vanilla and spice. Merlot - The Oak Leaf merlot is light bodied with delicate fruit nuances and herbaceous undertones. Chardonnay - If you are searching for a big, buttery Chard, you won't get that with Oak Leaf. The Chardonnay is simple, but many reviewers have noted that the alcohol flavors are a bit overpowering. White Zinfandel - Well, it's white zin. It tastes like white zine, smells like white zine. Really, no surprises here. Pinot Grigio/Chard blend - This slightly dry white blend displays green apple and citrus overtones. Let's be honest, when you buy a bottle of Oak Leaf Wine, you are not looking for a fine vintage wine, nor should you expect it. It is a good bottle of wine for three dollars. That's it. So, when you read reviews for various Oak Leaf varietals, keep that in mind. So the negatives are that most of the wines are simple, sometimes with overpowering alcohol flavors (which is not so bad if you like the warm burn of alcohol) and well, a little bland and lifeless. Again, these bottles of wine are not trying to compete with giants like Opus One and Caymus. They are competing with the likes of Crane Lake and Charles Shaw's Two Buck Chuck. In that competition, Oak Leaf holds it's own. Another big negative is that it is sold exclusively at Wal-Mart, so, if you don't have a Wal-Mart store near where you live, Oak Leaf is not accessible to you. On the positive side, Oak Leaf is cheap and surprisingly good for its price. The Wine Group really hit a home run of sorts with the production and marketing of Oak Leaf. It caters to a huge range of wine lovers who just can't afford or choose not to splurge on a $25 bottle of wine. When you think about it, there are far more people who can easily afford less than ten bucks for a couple of bottles of Oak Leaf than those that will plunk down $50 for a couple of bottles of "higher end" wine. In the end, the choice is ultimately up to you, no matter what the reviewers say. Even if you are pinching pennies, there is no reason why you can't enjoy a decent glass of wine after a long day and not feel guilty for spending the money on it. Finally, don't concern yourself with what wine snobs have to say about cheap wines like Oak Leaf.